After watching a favourite film – Memphis_Belle – the iconic WWII Airfield Tower cropped up in many of the sequences. So this edition of the Bulletin we include a conversion of one of these historically important towers, and cover a selection of other buildings for whom a vertical limit living is not a problem. For example, one such tower which is well worth a visit for inspiration is the Brassingbourn Air Tower Museum. This is photographed above by Jack Schroeder. For those who would like to study in more depth, please: Click Here and also: Click Here. Last edition we seemed to have sparked a lot of interest in underground homes and lifestyles. As we have mentioned – why living below ground level stimulates so much interest is a mystery to us. However, we have promised to find more. But rather than unbalance this Bulletin edition we list just one property [for now] with possible underground potential [subject to planing permissions etc]. PLEASE NOTE, THE COUNCIL ARE AUCTIONING PART OF THE SITE – PLEASE CHECK THE ONLINE BROCHURE FOR A GUIDE PLAN OF THE TITLE AREA FOR SALE. ALSO ENSURE THAT YOUR CONVEYANCING SOLICITOR CONDUCTS THE REQUISITE DUE DILIGENCE ON ALL NECESSARY ASPECTS. Not just the definitive title plan area but any subterranean rights. A Lot of Home For Little Money? This neat old mill has the raw elements needed for an interesting conversion to a detached home. Auction Narrative: A unique development opportunity to convert an existing traditional former mill building and outbuilding to a three bedroom residential property with garage and workshop. There is planning permission in place with reference (02/00721/ful) which was granted in 2002, the road access works have commenced. Full plot extends to approx 0.539 acres with services to available at roadside of plot. The electricity connection point is adjacent to the workshop. The plot is located in one of the most scenic parts of Scotland within Cairngorms National Park. This will appeal to those seeking to build a home within commuting distance of the major employment centres of the area. Please note planning is noted as lapsed, however there is written approval of extension of the planning permission as works have started. For reasons detailed [ Click Here ] we have been considering selling ALL three elements of the Unique Property venture. The unavoidable absense of the founder of this website and the loss of two of our core group of 8 volunteer writers/researchers needs to be addressed. Thank you to our friend for this suggestion. Such an idea could cure the current problem. The new estate agency would be able to tap into the £36,000 commissions that the Unique Property Bulletin has helped make for other estate agents in the last year alone. The symbiotic relationship would mean the Bulletin could afford a couple of part-time employees to continue writing the main Unique Property Bulletin – and keep that publication free to all readers and unique property buyers/sellers. Plus the likelihood of increasing the £36,000 commission level with professional progression of the Unique Property For Sale estate agency has to be a good all round move for everyone concerned. Just One Example Where The Bulletin Helped A Buyer Sell Their Property. For sure, there are thousands of unique property buyers amongst our readership, and hundres of sellers, several of whom have already come on board our new estate agency [which is still in the construction stage]. So if you are an estate agent – especially a high street agency wishing to expand into online estate agency, then please consider getting in touch to see how we might be able to help each other. For the avoidance of doubt, this price quoted is to buy our new estate agency company. It excludes ownership of the two other limited companies Unique Property Bulletin Ltd and Unique Property Syndicates Ltd. The funds released would enable immediate employment of a part-time Unique Property Bulletin writer to cover for our absent founder and the two other volunteers leaving for Australia and America. There have been many unusual properties our readers have been keen to enlist Unique Property Bulletin to sell. Whilst the Bulletin is NOT an estate agency in and of itself, there is a considerable opportunity for an imaginitave estate agency to plug into this publication – for example the photo-ad-boxes, as seen by tens of thousands of readers on every page [ Click Here ] and at the same time help the Unique Property Bulletin remain a free publication. So if you are a progressive and innovative high street estate agency looking for an online estate agency relationship with an established website such as Unique Property Bulletin, please get in touch for more details. To all of our readers – you are wonderful. Thankyou for the emails, letters, telephone calls and kind wishes. Hopefully we managed to reply to all. Also hoping that 2015 brings you the unique home of your dreams. A Chritmas Gift At £15,000. A very competitively priced church for sale. Another raw project with considerable potential. In fact there was planning permission and listed building consent to convert this fine structure to 4 homes [now lapsed]. 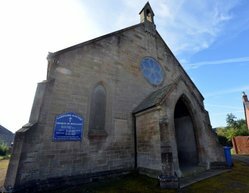 Auctioneer’s Narrative: A category B listed Nineteenth Century Gothic church in a prominent position in the Borders town of Langholm, dating from 1867, is of a Gothic style with square tower and broach spire. The rectangular plan building consists at present of the main chamber (with balcony level) and smaller ancillary rooms to the rear. We believe the building is basically wind and watertight but the internal fabric and some external features are in poor condition. Detailed planning Permission and Listed Building Consent was in existence some time ago (now expired) for converting the church into four town houses and three and a half levels .The property has mains water, electricity and drainage. This castellated picture postcard home is in need of a scheme of comprehensive restoration, Harpton Court requires a great deal of care to bring it back to its former glory. A fine entrance hall gives a sense of the grandeur that this home once had and leads to an incredibly special dining room with windows overlooking the extensive gardens and grounds. Adjacent there is a recently refurbished kitchen/breakfast room with a comprehensive range of fitted units and cupboards, and a number of kitchen appliances. There is also a large utility/boot room with access to the garden. The Barn has a magnificent entrance hall with oak features and staircase, which could be utilised as an additional reception space should it be required. It benefits from excellent natural light afforded by both the front window and French doors to the rear that lead onto the courtyard. The Barn has an open plan feel, but the oak posts and beams create natural divisions. A study or dining area is located at one end of the ground floor and the kitchen/breakfast room is located at the opposite end which leads to a utility and cloakroom. Worthy of particular note, is the fabulous sitting room which could be fitted with a stove. Oak stairs rise to the first floor where there are four generous bedrooms, two of which have en suite shower rooms and the family bathroom serves the remaining two. The property needs to be seen to appreciate the quality of the work and its setting. 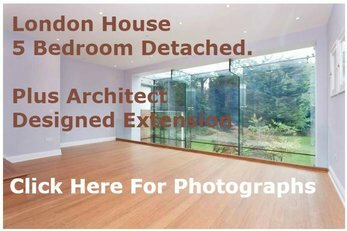 The property has received extensive conversion works along with a new roof and floors. For our competition in October 2014 we featured such an obscure unique building in the regular competition that we reckoned nobody would manage a correct answer and our prize fund was relatively safe. Should have known better! We have a lot of very good property sleuths reading the Bulletin. Nine correct answers came in. What an impressive array of unique property hunters out there. So this time we are throwing down the unique gauntlet. We are running this competition for two months duration [November and December] so we can double the prize fund to £100. But we are also featuring a property for readers to identify, which we think nobody will manage to guess. Suspended above the ground 26 huge laminated timber ribs surrounded the treehouse like the canopy of an ancient tree. Each of the 6m high timber ribs was finished with a unique and sustainable timber product called Kebony, a sustainable alternative to tropical hardwood. Kebony was a fitting choice for the treehouse because of its strength and environmental credibility. It’s organic and natural beauty meant that it looked fantastic amongst the stunning array of gardens on display at the RHS show. At ground level, three primary trunks formed from 48 interlocking ‘Medite Tricoya’ timber fins supported the cocoon-like creation. Besides being weather proof and durable, Medite Tricoya can be easily machined and painted. Each of the fins has been stained dark brown to match the external cladding of the building, reflecting the natural bark of trees. This is a good example of why it can be a good idea to keep an eye on what has sold in previous Unique Property Bulletins. 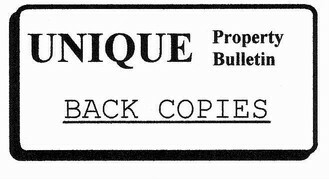 Albeit we have to go back to the front page of an old paper format Bulletin from the 1990s. Then, Ethie Castle was for sale at a much different price, along with a wee bit more land to it. Around and around, here it is for sale again. Times change though, and so do prices. Still for anyone who loves castles, and back in the day there was a decent amount of interest in this one last time when it sold. Here we are able to include it, listed again for sale, as the current owners decant and the 700 year old home looks to a new owner to enjoy the splendid and historic home that is Ethie Castle. Which, by the way, was a favourite of Sir Walter Scott who used to visit with the Earl of Ethie a while back. In keeping with this Bulletin’s feature of towers – especially the airfield variety, we have an excellent offering for readers interested in this genre of unusual building as a place to call home. A short stay visit to the former RAF North Creake Air Control Tower, and especially a chat with the owners will surely give you a great boost should you wish to go in this direction. The former RAF North Creake Air Control Tower history is fascinating – originally built in 1943 to command 199 and 171 Squadrons take-offs and landings. These were part of The 100 Group of Bomber Command and their mission was to carry out secret radio counter measures. 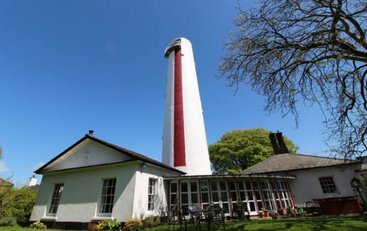 The Tower has had many uses since then, now it is transformed into a special place to stay in the bustling agricultural hamlet of Egmere, just 3 miles south of Wells-next-the-Sea. After two years, our labour of love is complete. The exterior has been returned to its iconic landmark modernist look and we have filled the interior with beautiful art deco fixtures and furniture to ensure your stay will be comfortable and relaxing. Two double en suite B&B rooms are available to book contact Claire & Nigel on 01328 821 574 to talk through your requirements and to check availability. Your stay includes the use of our guest living room and gardens. This truly stunning conversion of a Grade II Listed Victorian water tower offers impressive and luxuriously equipped accommodation that is imaginatively arranged on three floors. With a character all of its own accentuated by the cylindrical shape with the American Oak spiral staircase rising between the floors. Having won the original developer a highly commended Hertford Civic Award, the Water Tower has become a landmark home set in the centre of this highly sought-after village a few minutes drive from Ware, Hertford and Broxbourne and therefore being ideally placed for the commuter, who requires a rail service into Liverpool Street or Moorgate. Many of the original features remain, which have been skilfully blended with a high specification of modern fixtures and fittings, all of which combine to make this a unique opportunity for a lifestyle move. Internal viewing highly recommended. Detached garage built in the same stunning style as the water tower under a blue slate roof. Plenty of car parking with a sweeping gravel drive behind electric gates. Not just the movies, but actual life – with real World War II footage showing those who helped save a nation, and much more, at these special buildings…. So for the this edition’s Unique Property Bulletin. we are pleased to offer up a selection on the theme of unique towers. Whether you are looking to buy the raw item ready for renovating, or the finished building awaiting your removal van to convey you there lock stock and barrel, here we have some unusual specimens to choose from. Do you like the look of the Clathymore WWII Air Control Tower conversion featured above? Fancy taking flight and managing your own project in a similar vein? Here we have one listed for inspection. Agency Narrative: An extremely rare opportunity to acquire this unique development project, with impressive views across adjoining countryside, resulting in a work/live equestrian centre. Planning permission has been granted to convert a former aircraft control tower into three storey living accommodation with roof garden, comprising of; existing former fire engine shed, multipurpose studio and conversion of small former outbuilding to gym. There is also planning permission to erect a large barn to provide stabling, tack room, storage and further ancillary accommodation. The whole property sits in pasture land extending to approximately 14.45 acres or thereabouts and is conveniently located approximately six miles south of Shrewsbury. From a personal perspective having been in a number of these structures, there is a huge debt and level of respect to be paid to those who saw action at these air towers and airfields. 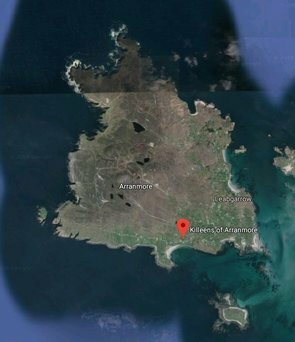 If, after a visit to one of these building “as was” captures your heart and soul, then we would suggest a visit to Clathymore Air Control Tower home conversion and renovation for further inspiration – maybe even an offer at Clathymore if that is in your budget range! 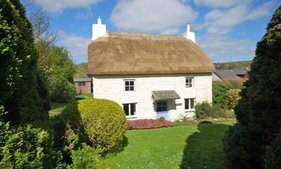 If you do manage to buy one of these rare properties, please let us know how you get on [ Click Here ]. Thanks. If you prefer your air towers in the modern form, this very rare example was recently placed for auction and failed to sell. Putting you, as a potential buyer in a very good bargaining position. Guide: Was £300,000 – But Failed To Sell At Auction. So some bargaining may be managed on price. Moving on from towers of the Air Control variety, we have this interesting and vertically unusual property. Just imagine working from home with your own office high up in the clouds – plus 360 degree views. Set in 5 acres with a lot of history and extra accommodation. Well worth reviewing the online brochure. The Old Lookout, Long Cross, Cranmore – Stairway To Heaven! Agency Narrative: Arley Tower is an impressive Grade II listed folly, constructed in 1842 from local Arley stone. Built in a Gothic Revival style by the owner of the Arley Estate, Lord Mountnorris. The two storey tower boasts a three storey octagonal stair turret which leads to the accommodation, main living rooms and roof terrace which enjoys spectacular views. On the ground floor there is a master bedroom with en suite, leading to a second bedroom which could also be used suitably for an office or dressing room. French doors lead off the master bedroom to the rear courtyard.